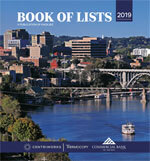 Top Knoxville-area Heating & Air Contractors ranked according to total local employees. Includes notable clients/projects, and complete contact information. Data in Excel format suitable for easy download.